Yanjaa Wintersoul is a 24-year-old award-winning memory athlete from Mongolia. Within her first year of memory training she got the gold medal at the World Memory Championships for remembering names and faces, also winning the World Memory Championship team trophy with Sweden. The following year she got the world record for the most names and faces ever remembered (187 international names in 15 minutes) and was the eighth person in history to achieve an International Grandmaster of Memory (which includes memorizing more than 1000 random digits in under an hour) at her second World Memory Championships. Shortly after, she was invited to be one of the 200 global Leaders of Tomorrow at the St. Gallen Symposium in Switzerland for outstanding success in memory sports at such a young age and commitment in fighting against discrimination and for the initiative and courage to make a difference, as well as winning the annual Mongolian Youth Award for excellency in inspiring youth education through language learning and memory training. Growing up in Stockholm, Mongolia and Tokyo and graduating high school in Kenya – she’s always had a growing passion for global compassion, equality and education. Like to know more about you and all the project you do. You seem very interesting person. I live in Canada. I would love to do a reality show about you and all the interesting places you visit. 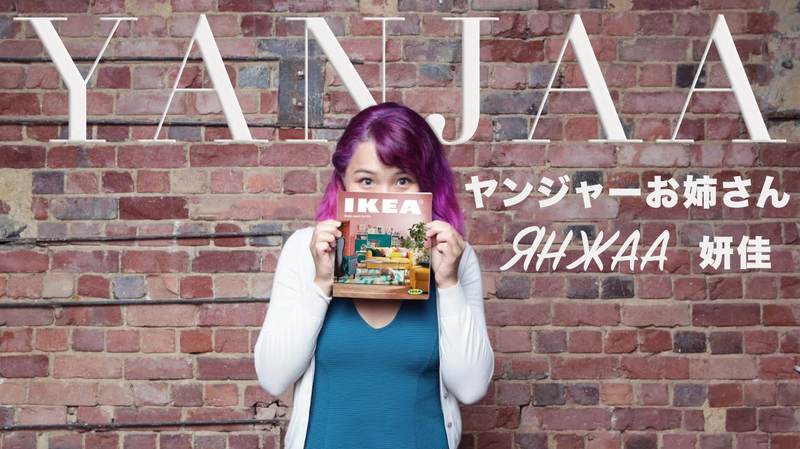 HI Yanjaa, just a video about u memorizing the IKEA book. i would like u to come to Malaysia and KL to visit. Zunduu Mongol humuus baigaa shuu? mongoloor yuunii talaar bichih uu? Hi, Could you introduce yourself in Mongolian? How to quickly learn about other languages and give some advice, please? How can quickly memorize many abroad words ? I really interested that. Can you responsible me? Mash tom amjilt gargaj olon xvnii baxarxal bolson Yanjaa daa bayar xvrgii. Online surgalt ene ter baival suuna shvv. Bi hIghway deer xurdtai davxidag shigee tarxi mini tiim xurdan ajilladag bsan ch boloosoi gej bodox yum. kkkk. Jobbar med integrationsfrågor! Undrar om Appen du jobbar med är klar eller om jag kan hjälpa till på något sätt…?!? Hi Yanjaa! I think you’re gorgeous 😀 Kay, bye! Bayarlalaa, thank you for your nice words! I think you should show us your memorization techniques, alot of people are interested. There are websites like artofmemory.com and memory forums, but it would be interesting if you shared your personal metheods. Cool! I guess I will! I already do at everythingmemory.com! Hejsan, jag undrar vem har gjort den här underbara hemsida? Om det var du så har du gjort en väldigt bra jobb. please, do you have a training process or tips for me 🙁 ? i’m a high school senior from china and i’m now studying mongolian so that i can communicate with locales when i travel to mongol uls and uvur mongol. do you have some advice? Please tell me have you take IELTS test? And how many scores?